Opened in December 2007, the clinic has developed a great local reputation and clients are assured of a warm welcome and professional service. Situated on the first floor this clinic consists of two spacious and well equipped treatment rooms. There is also a welcoming waiting area, reception, kitchen and WC. Please note there are stairs so if you are not able to use stairs please contact the clinic and let us know so we can make other arrangements for you. The clinic is open MONDAY _ SATURDAY INCLUSIVE with both early morning and late afternoon and evening appointments available. 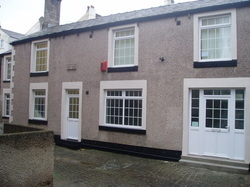 Our Kirkby Lonsdale branch opened in April 2010 at the request of the local GP's. We provide a private service within the health centre. Clients are welcome to see the physiotherapist in either location at a time to suit their needs. We do receive referrals via the GP's, though you do not need to have a referral from the GP to see us. If you have any questions then please contact us and we will happily advise you. Physios for you...... Meet our team! Just click on the pictures for more information.